100% Superlite Carbon fiber RDM mast. Constant curve bend characteristics work perfectly with the majority of sails on the market. High carbon content provides supreme reflex response to maintain desired sail shape. 80% Carbon fiber SDM mast. Constant curve bend characteristics work perfectly with the majority of sails on the market. 40% carbon content provides great reflex response to maintain desired sail shape. Remaining composite material further increases durability. 90% Carbon fiber RDM mast. Constant curve bend characteristics work perfectly with the majority of sails on the market. High carbon content provides supreme reflex response to maintain desired sail shape. Color coded mast sizes. No bag or shim included. 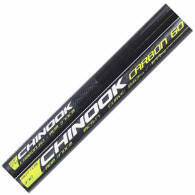 Chinook Full Year Warranty. 40% Carbon fiber SDM mast. Constant curve bend characteristics work perfectly with the majority of sails on the market. 40% carbon content provides great reflex response to maintain desired sail shape. Remaining composite material further increases durability. Color coded mast sizes. No bag or shim included. 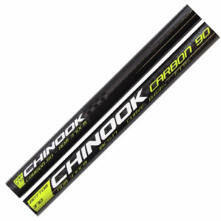 Chinook Full Year Warranty. Durable epoxy and fiberglass construction. Available in 400cm, 430cm, and 460cm. These masts are designed for young light sailors. Epoxy fiberglass construction for great durability and value. Available in 270cm, 315cm, 340cm, and 370cm.